As autumn’s cold winds swipe leaves from trees, we are warned of the ineffable effects of death and beyond. This exhibition, Beyond, payed homage to the traditions which honor the dead and have been used as a point of departure for artists throughout the millennia. Beyond exhibited the works of its contemporary artists who explore the fundamental nature of reality. These artists’ processes can allow both the conscious and subconscious mind to evolve into coexisting ideas. Beyond offered works of art that find new interpretations for the meaning of form. 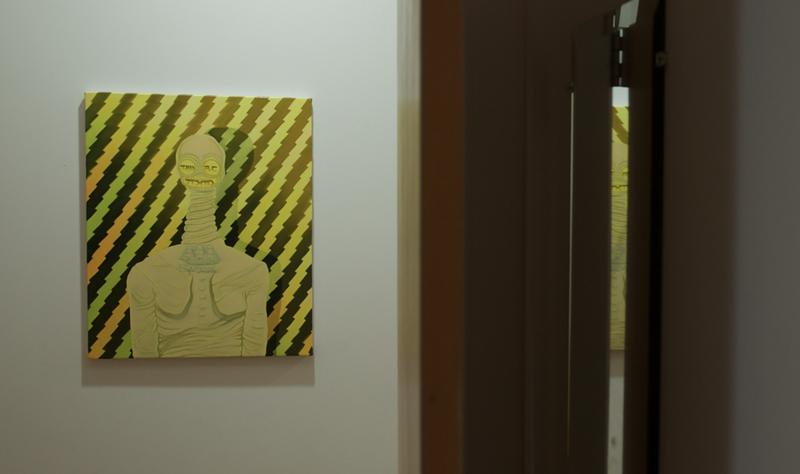 Beyond was curated by Michael Holden and exhibited works by Bryan De Roo, Anna Ehrsam, Ryan Michael Ford, Alfredo Gisholt, Christopher Mir, John Mulvaney, Mike Olin, Rachael Senchoway, Simon Slate, Jonathan Torres, Albert Weaver, and Julian Wong.